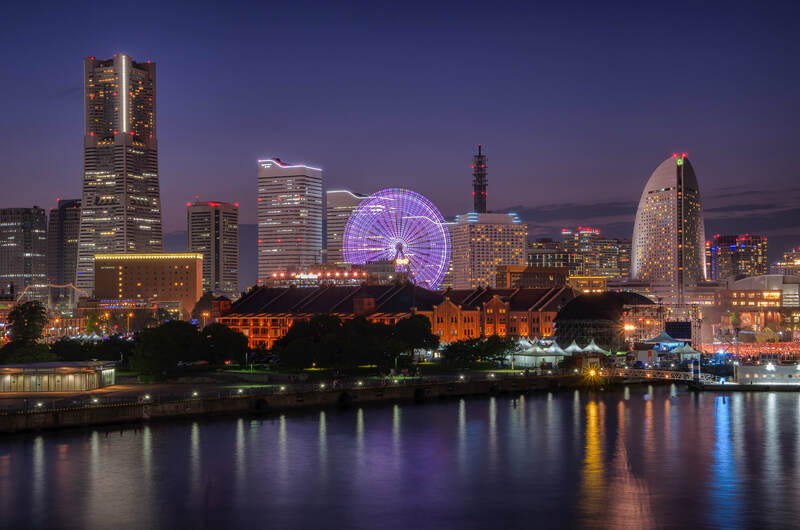 Yokohama is a port town located in Kanagawa Prefecture with a noticeable foreign influence, which owes to its history as one of Japan’s first ports to open for international trade. There are various tourist sites in Yokohama — Yokohama Chinatown, one of Japan’s big three Chinatowns; Minatomirai area and the Landmark Tower; boutique stores at Motomachi; western architecture in Yamate; and retro buildings in Bashamichi. Furthermore, Yokohama is only 45 minutes away by train from Shibuya on the Tokyu Toyoko Line. In this article, we’ll introduce photogenic spots around the Landmark Tower. Also check out “Top 10 Photogenic Spots in Yokohama” for intel on other popular sites in Yokohama! 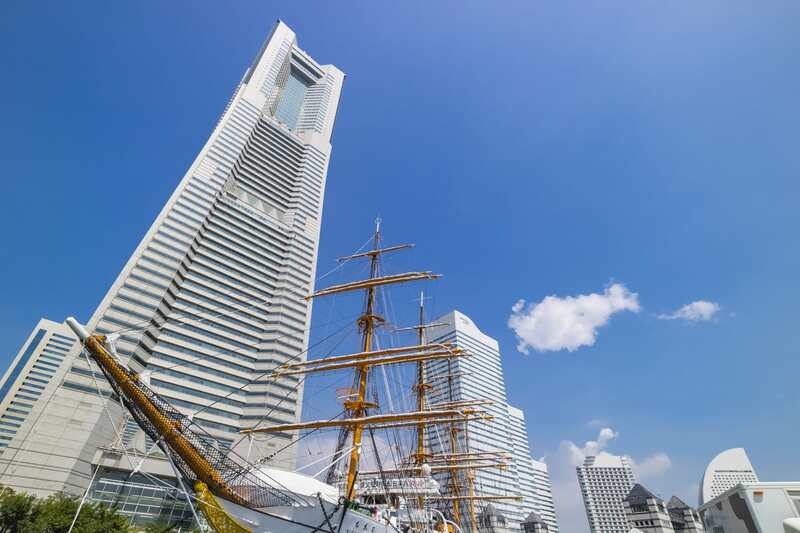 As the name suggests, Yokohama Landmark Tower is an icon of the Minatomirai area of Yokohama, which has attracted many visitors since opening in 1993. The tower has 70 floors, measuring 296 meters high, and is the second tallest building in Japan after Abeno Harukas in Osaka. The highlight of Landmark Tower is the panoramic view from the 69th floor observation deck. On a sunny day, visitors can not only overlook Yokohama city, but also Mount Fuji. The night views are also spectacular. Yokohama Landmark Tower stands on Mitsubishi Heavy Industries’ former ship yard, where they built and maintained ships. The former ship yard has been preserved and renovated into the dockyard garden, which is situated at the foot of Landmark Tower. It now functions as an event space. The tower is packed with restaurants and shopping stores. Within the many options, we recommend Minatomirai Yokocho — a street food-style food hall that’s open from noon through night. Why not stop by for a glass? Nipponmaru Memorial Park is a stretch of waterfront greenery located by the Yokohama Landmark Tower. The park serves as a gateway to the Minatomirai 21 area and connects to the Yokohama Red Brick Warehouse in Shinko Futo, via a retired railroad. At the park, visitors can explore the Nipponmaru, which is a retired training vessel that retains much of the ship’s original features. To take the best photograph, we suggest framing the Nipponmaru with the Landmark Tower as a backdrop. That way, you’ll capture the history of Yokohama. 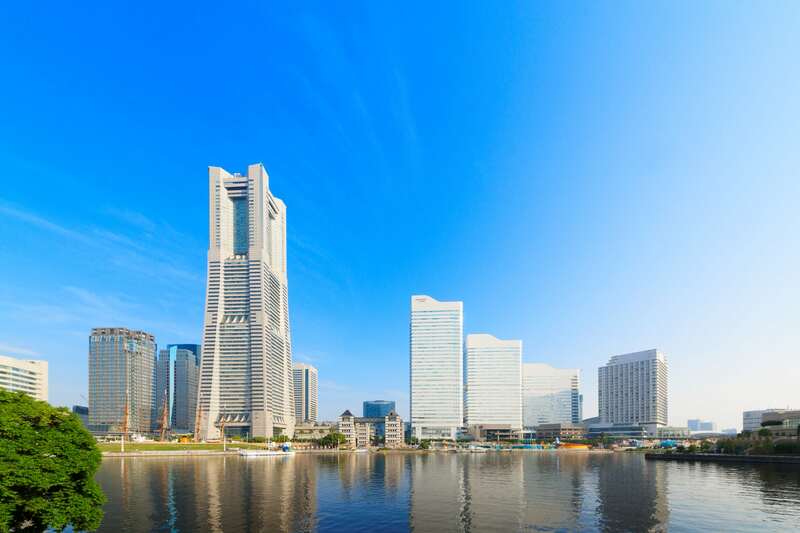 We recommend shooting Yokohama Landmark Tower from Osanbashi. To further dress up the picture with color and modern structures, take the photo at night and include the Ferris wheel — the icon of Cosmo World. The Ferris wheel, named Cosmo Clock 21, is the world’s biggest Ferris wheel standing at 112.5 meters tall and seating 480 people. The Ferris wheel serves as a great centerpiece when it is illuminated at night. Other than the Ferris wheel, Cosmo World also has a jet coaster and water ride, among other attractions. Yokohama opened its port to international trade 150 years ago. Due to this history, Yokohama is one of the first towns in Japan to receive foreign influence. Sightseeing spots in Yokohama include, the Yokohama Station area, which is home to numerous shopping malls and Yokohama’s largest terminal station; the Minatomirai area, which is famous for the Landmark Tower and was voted as a top 100 cityscape; Yamashita Park, a popular dating spot; the international Yamanote area; Motomachi, the shopping destination; Kannai, home of the Yokohama Stadium; and the Yokohama Chinatown, which is one of Japan’s big three Chinatowns. Experience the exotic town of Yokohama where Japanese, Western, Chinese, and other international cultures blend together. Go on a photoshoot tour while wearing a kimono. 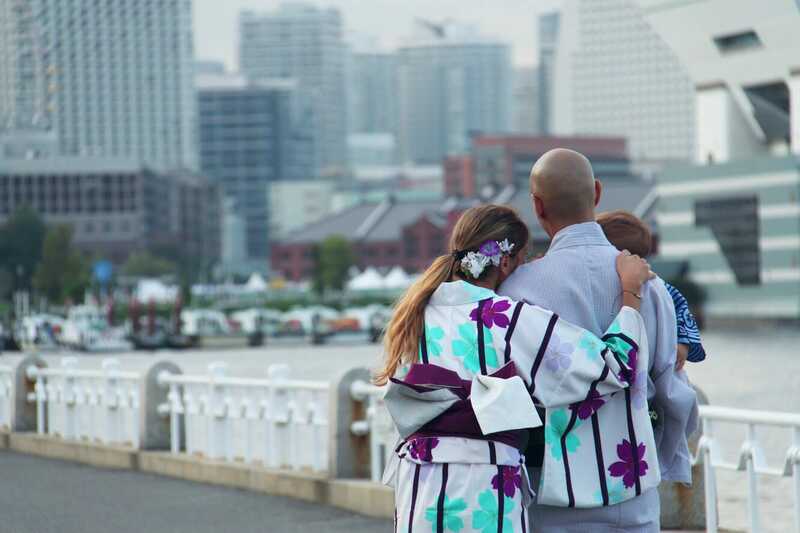 Pick and wear a kimono of your liking and the guide will lead you to various spots in Yokohama, such as Sankeien and Yamashita Park. 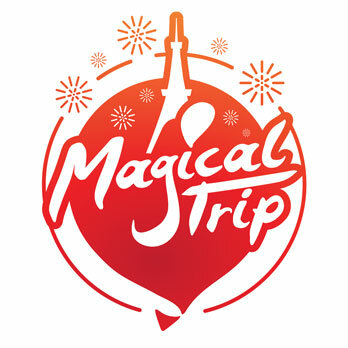 It will be perfect memorabilia for your trip to Japan!